Our range of products include removable protection pad. Features Very high shock absorbency properties Mainly used as sports body protector. By keeping track of market development, we are involved in offering a high-quality Removable Protection Pad. Provided protection pad is used in the sporting industry and also in automobile motorcycle industry. The offered protection pad is tested on stringent parameters in order to supply an excellent to customers. 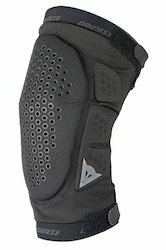 Looking for Removable Protection Pad ?